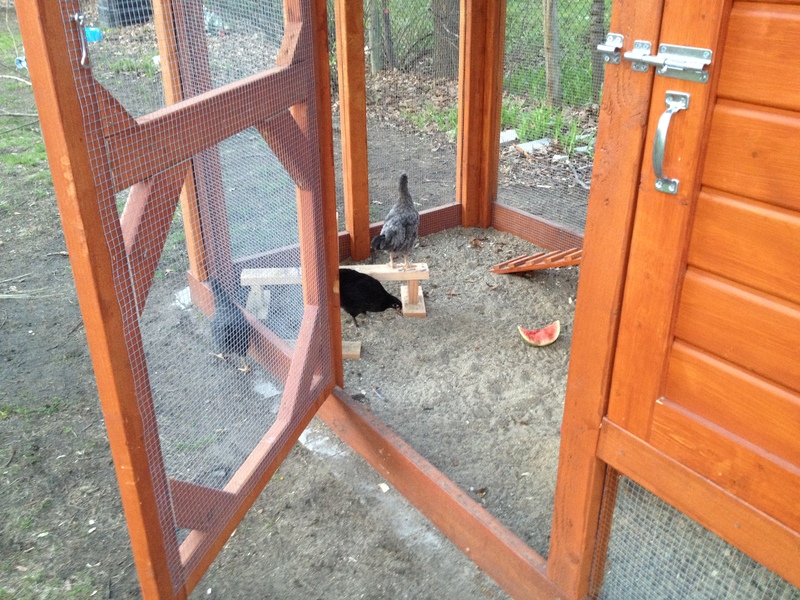 Nellie surveys the outside of the coop, while Loretta and Gigi watch safely from inside. 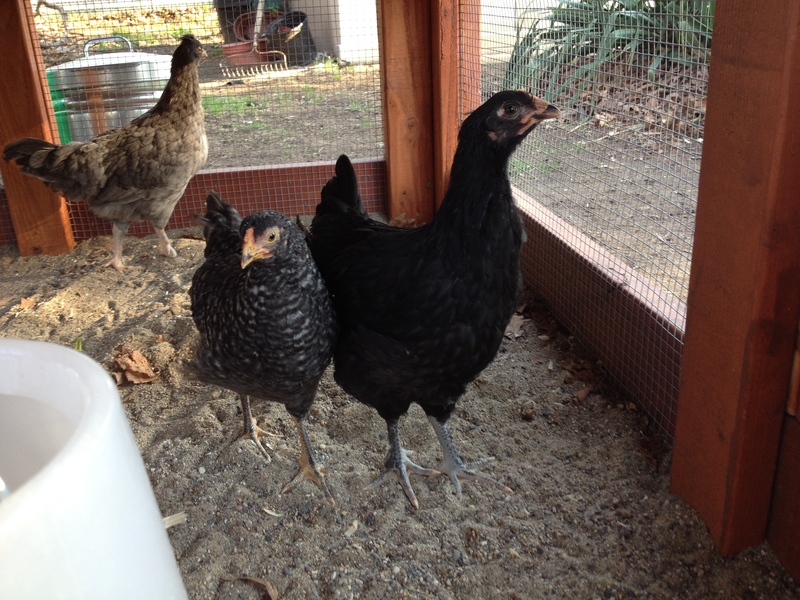 Normally when I go out at dusk, the girls already are tucked away in the hen house. But last night, they busily munched away on a large piece of watermelon. We had a rare 86-degree May day, and the girls were riled up. I opened the coop door and told them it was time for bed. “There’s a big, big world out there,” Nellie says. Nellie, my runt Dominique, hopped up on the threshold. Then she kept going. Into the yard. She immediately started grabbing mouthfuls from the ground, peck-peck-pecking away. And so it went. Nellie was the first chicken to take a stroll outside of the coop. While it wasn’t planned, the timing was perfect. It was bedtime, and I knew her natural instinct to roost would kick in at any moment. She wouldn’t stray far. Nellie walked about halfway around the coop, then turned around. When she was about 4 feet away from the coop door, our dog Charlie gave a gentle sniff of her bum. 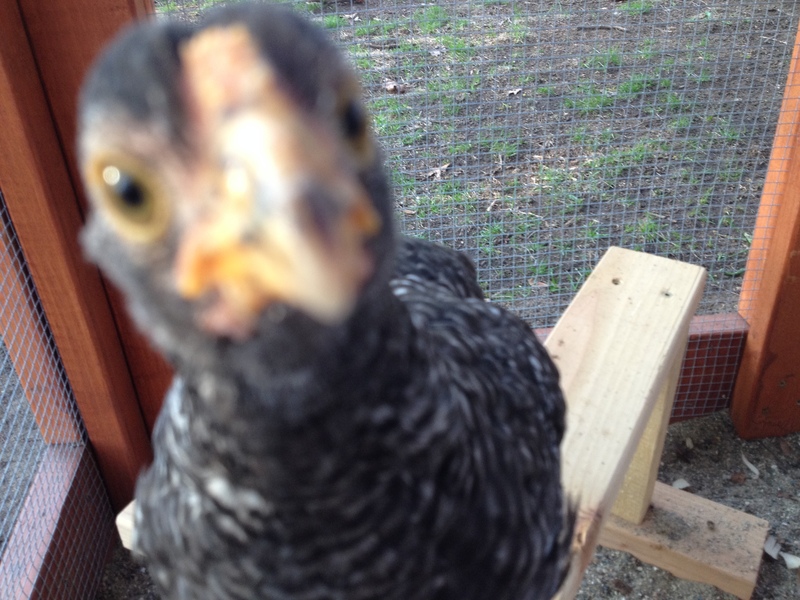 Nellie flapped her wings and quickly trotted back to the safety of the coop. Loretta towers over Nellie. Well, she’s really stretching her neck, so I don’t think that counts. But she’s getting super duper big. Gigi, in the back, is growing like a weed, too. I love your posts…you could write a children’s story I bet. Thanks so much! I really enjoy sharing this journey.